Worldreader is eight years old. A lot can happen in eight years: in 2010, the iPad had just come out, fewer than 35% of Americans owned smartphones, and the Mars Rover had not yet landed on the surface of our next-door neighbor. Today, tablets and mobile phones are everywhere, 77% of Americans own a smartphone and America trails India in total smartphone ownership, and space tourism is getting closer by the day. And in eight years, Worldreader has helped seven million people read local and international books on mobile devices around the world. 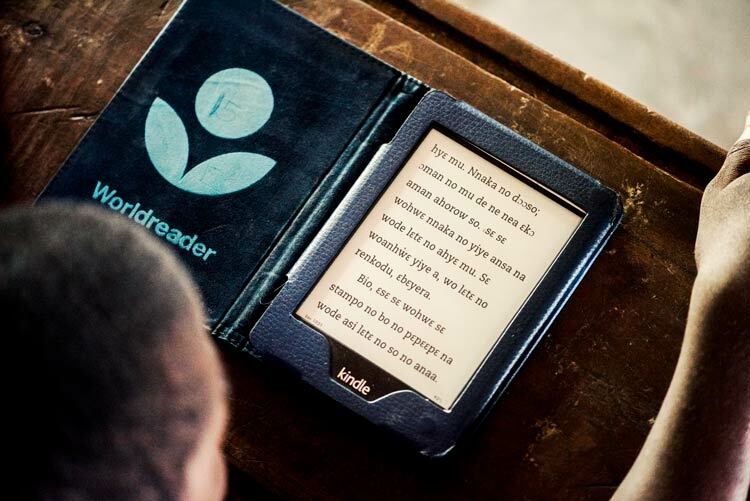 Not only has this helped unlock the potential of millions of people, it has begun to mainstream the idea that digital reading can reach millions more, even in some of the world’s least-developed areas. As proud as we are of what we’ve accomplished, we’re acutely aware of how much further we have to go, and how important it is to move quickly as the world goes digital. One of our tenets is: When a fire is burning bright, pour on the gasoline. But more gas won’t be enough. To help billions of people, we need to evolve our approach. After all, even at the pace of one million people a year, it’d take us 1,000 years to reach our goal. We’re patient, but we’re not that patient! Here’s what you can expect from us next. 1. A systems change approach. Large-scale problems require system-level solutions. 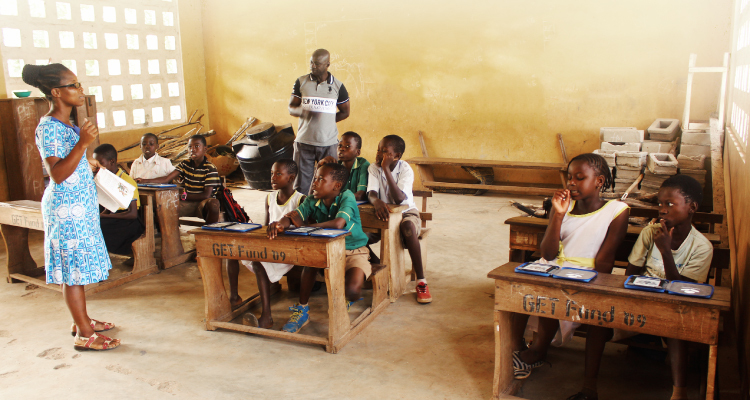 In late 2017, in partnership with the Municipal Education Office (MEO) of Kwaebibirem in Ghana’s Eastern Region, we launched a project to get all 45,000 primary-school students in the district reading digitally by 2020. Importantly, our role is to help them get started and build the district’s capacity to the point where we can transition full ownership of the project to them in two years. That, in turn, will serve as a model for other districts, for an entire country, and hopefully for the world. We’ve made significant strides already. We’ve completed the first training program, helping 84 primary-school teachers incorporate e-reading into their classrooms. The Kwaebibirem MEO now has an E-Reader department. In all, and after only six months, the program is already active in the first set of 12 schools and has already helped 1,706 students. Stay tuned for the next phase, beginning in September. This program is one example of how we’re evolving our approach at Worldreader: if we are to reach billions of people, we need to build capacity within large systems like Ministries of Education and partner at large scale with other non- and for-profit organizations as we drive towards national scale in Ghana and beyond. 2. More partnerships with for-profit companies to amplify impact. Non-profits like ours tend to be relatively small. Compared to the size of the problems we’re addressing, our resources are infinitesimal. But by creating smart partnerships with for-profit companies, we can harness the full power of capitalism to amplify our impact many times over. 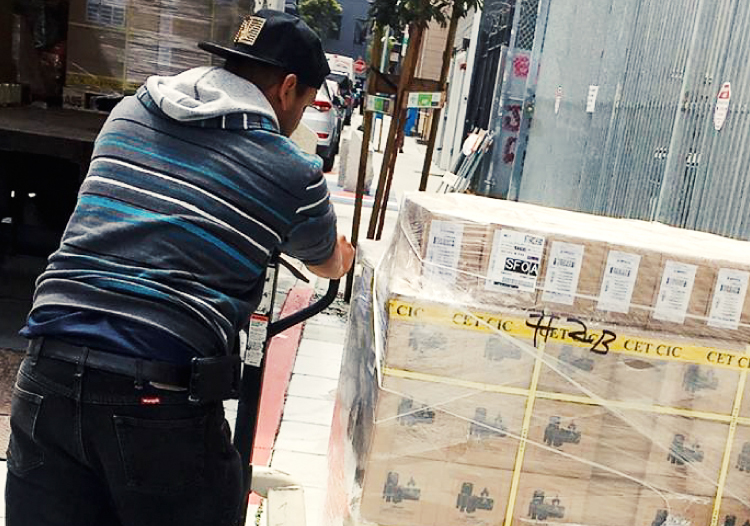 Here’s what 3,000 Amazon Kindles look like, being delivered to our San Francisco office. They’re headed to Ghana to help 45,000 students read. As an example, just last week, 3,500 Kindles from Amazon showed up at our door—only a fraction of a much larger investment-donation by the company of hardware, cloud-based software and expertise. There are many reasons for this partnership, but chief among them is how it lets Amazon tap into some of what we’ve learned. They can’t know when digital reading in the so-called “developing world” will be an important market opportunity for them, but they can be sure that as that happens, they’ll be ready by learning alongside us. Here’s another example. 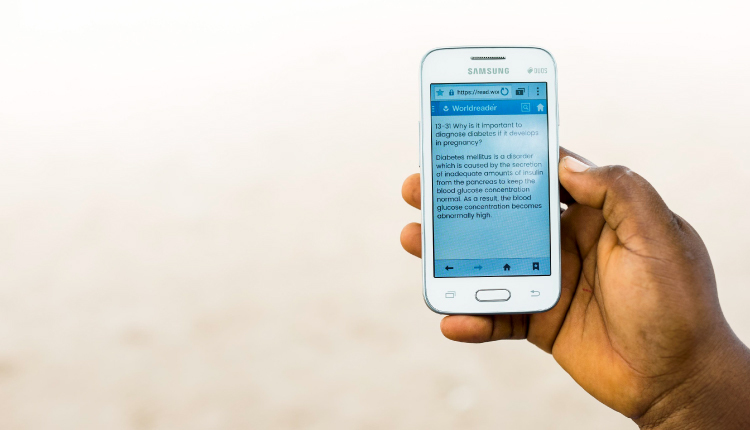 With Worldreader’s help, publishers in Kenya and Ghana are increasingly turning to the digital marketplace. The work we have done to help create digital versions of their work has allowed them to sell into global markets and keep up with an increasingly digitized world. And the fact that we pay them to use their local books in our reading programs—about $2 million in total over the past eight years—is an incredibly important jump-starter to their own digital efforts. Many of these publishers are now seeing small but growing revenue streams coming from the e-book side of their businesses, and the result is that each of the 350 local publishers we partner with is now rooting for digital reading’s success. Finally, our long-standing partnership with Opera software continues to pay dividends for both organizations. 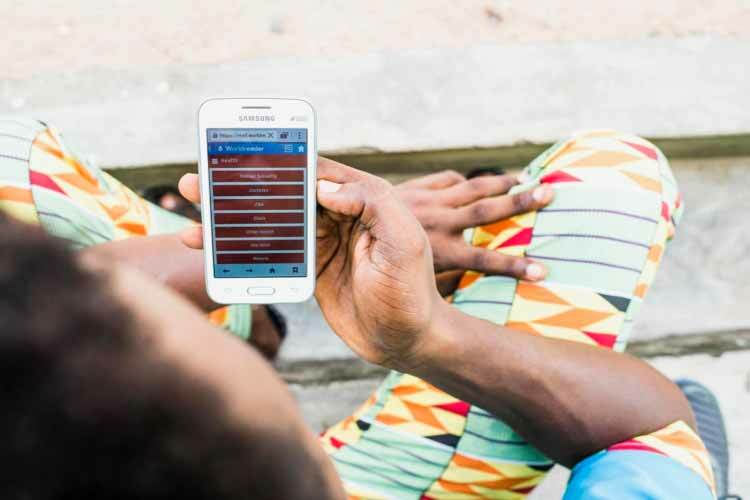 Each month, two million people access our mobile reading application at read.worldreader.org, largely due to its promotion on Opera’s best-in-class web browser. About 600,000 of those visitors read from at least one book in our app—be it a self-help book, a health book, or a romance title (everybody could use a little romance in their life!). When they improve their lives through books, Opera’s users deepen their connection both to reading and to the platform that connected them. And if you’re wondering “are people really reading books on cell-phones?”, in 2017 over 45 million people read for an average of 9 minutes each—the equivalent of reading the entire Harry Potter series about 100,000 times. So, yes! As the saying goes, “If you want to go fast, go alone. If you want to go far, go together.” We’re deeply appreciative of all of our partnerships with our for-profit siblings, and will look to collaborate even more to improve the lives of millions. 3. Putting data to work for the good of us all. Perhaps you’ve picked up on a trend in the news: data can be used for good or ill. We know which side we come down on: we want to use data to help our publisher partners know what people want to read, our school and library partners know what’s working and our readers discover new books that will improve their lives. Just to pick a single example: For years, donor agencies have spent millions of dollars buying books for classrooms. But they’ve had nearly no visibility into whether those books made it to their intended readers, let alone which of those books generated the most interest. Today, we can know both, quickly and at nearly no cost. We can even see what books are being read during the day and what books are of interest for home reading. We don’t need to collect personal information to do so, something that should give comfort to those of us who feel strongly about privacy. But we can share aggregate data far and wide, so that others can benefit from what we learn. From our earliest days, Worldreader has committed to using data to help us improve our work (have a look here to see reports from all the way back to 2010). The tools we’re developing today let us take that idea to an entirely new, higher-impact level. Promoting systems change, growing partnerships with large for-profit organizations, and using large-scale data for good—none of this is easy. But if we’ve shown one thing in eight years, it’s that we’re not afraid of a good challenge. With you by our side as we continue to learn and increase our impact, we’ll get all this done and more, unleashing the potential of millions. We couldn’t be prouder to share how you‘ve improved readers’ lives in 2017 and how together we’ll make an even bigger difference in 2018 and beyond in our 2017 Annual Report. Thank you for helping the world read.